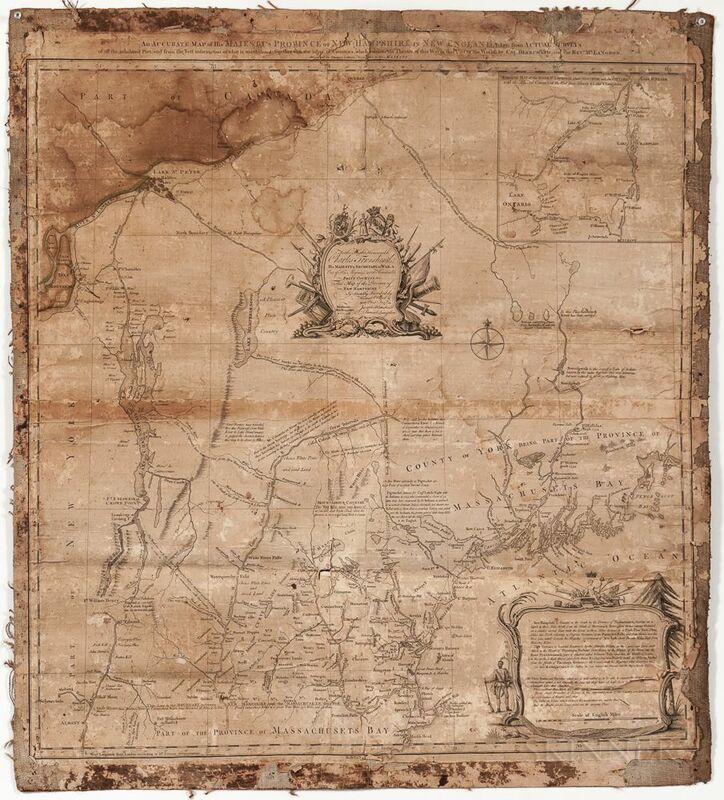 Blanchard, Joseph (1704-1758) and Samuel Langdon (1723-1797) An Accurate Map of His Majesty’s Province of New-Hampshire in New England. Blanchard, Joseph (1704-1758) and Samuel Langdon (1723-1797) An Accurate Map of His Majesty’s Province of New-Hampshire in New England. Blanchard, Joseph (1704-1758) and Samuel Langdon (1723-1797) An Accurate Map of His Majesty’s Province of New-Hampshire in New England. 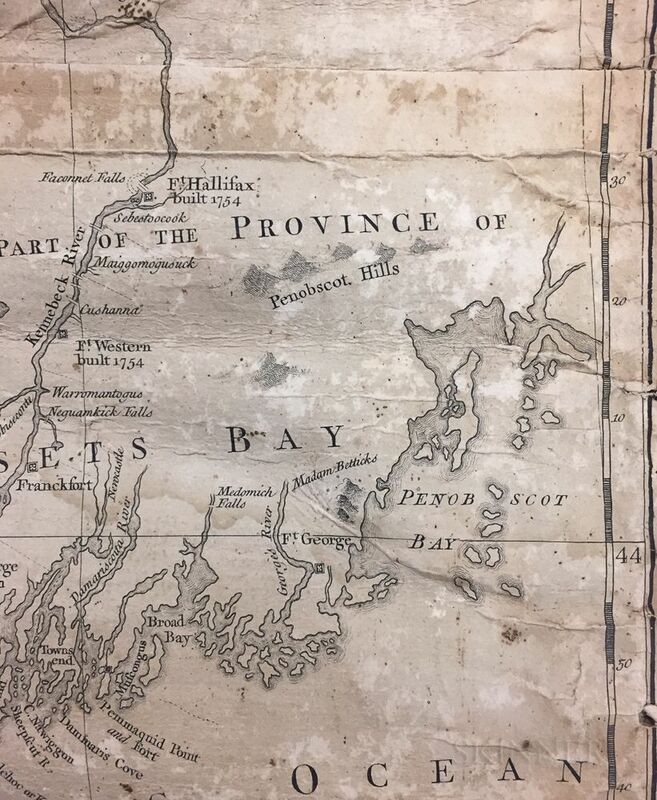 Blanchard, Joseph (1704-1758) and Samuel Langdon (1723-1797) An Accurate Map of His Majesty’s Province of New-Hampshire in New England. 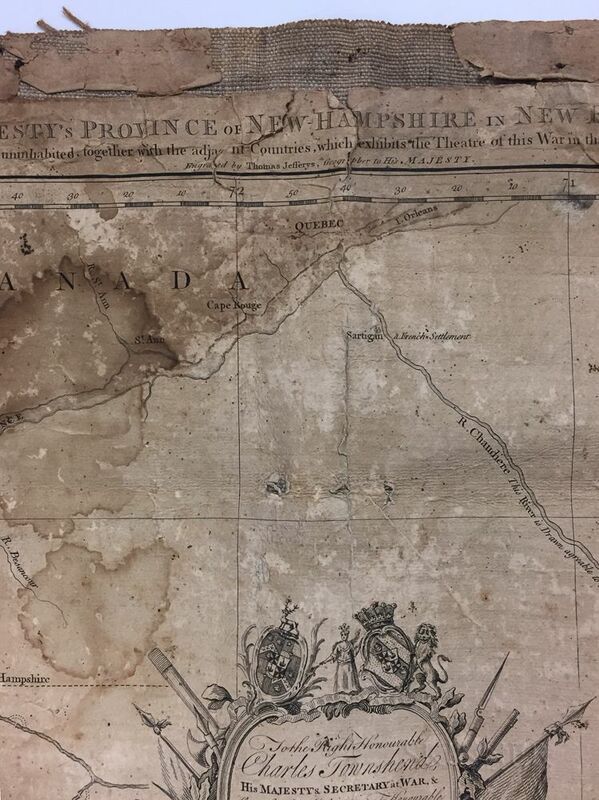 Blanchard, Joseph (1704-1758) and Samuel Langdon (1723-1797) An Accurate Map of His Majesty’s Province of New-Hampshire in New England. 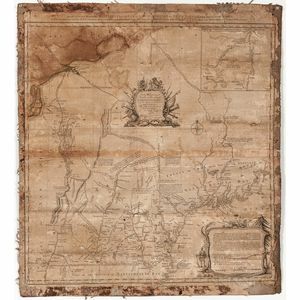 Blanchard, Joseph (1704-1758) and Samuel Langdon (1723-1797) An Accurate Map of His Majesty’s Province of New-Hampshire in New England. 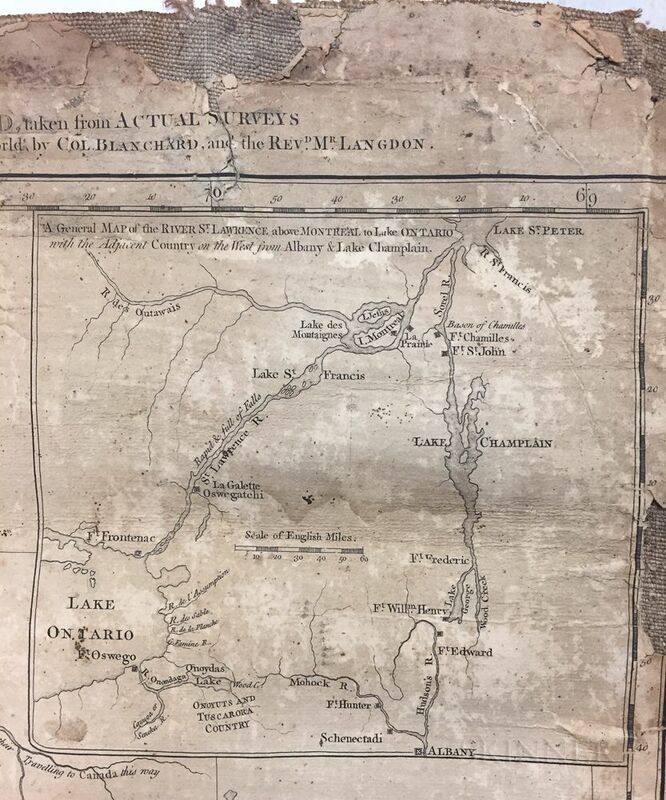 Blanchard, Joseph (1704-1758) and Samuel Langdon (1723-1797) An Accurate Map of His Majesty’s Province of New-Hampshire in New England. 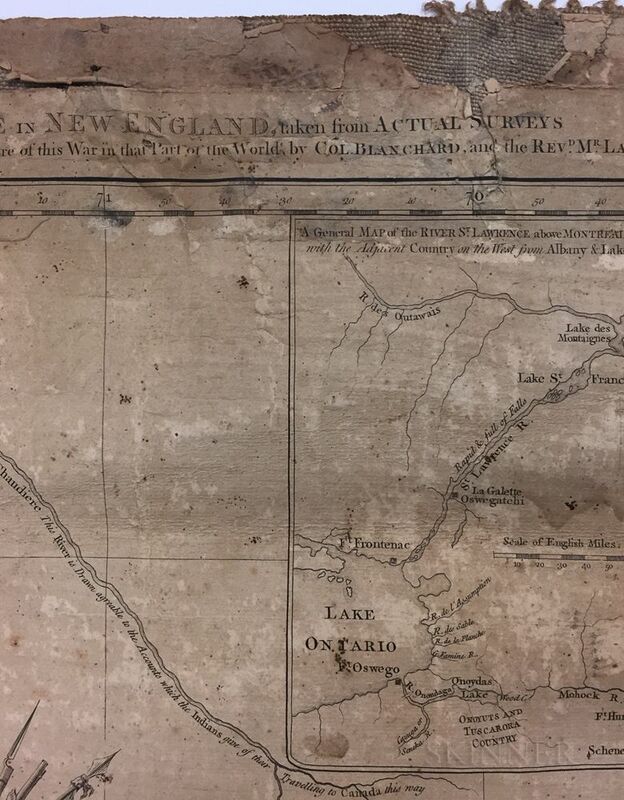 Blanchard, Joseph (1704-1758) and Samuel Langdon (1723-1797) An Accurate Map of His Majesty’s Province of New-Hampshire in New England. 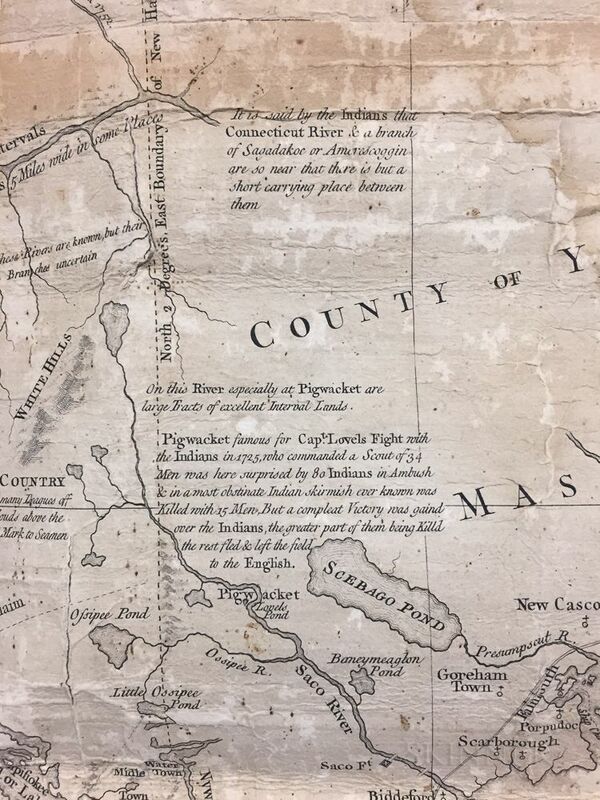 Blanchard, Joseph (1704-1758) and Samuel Langdon (1723-1797) An Accurate Map of His Majesty’s Province of New-Hampshire in New England. 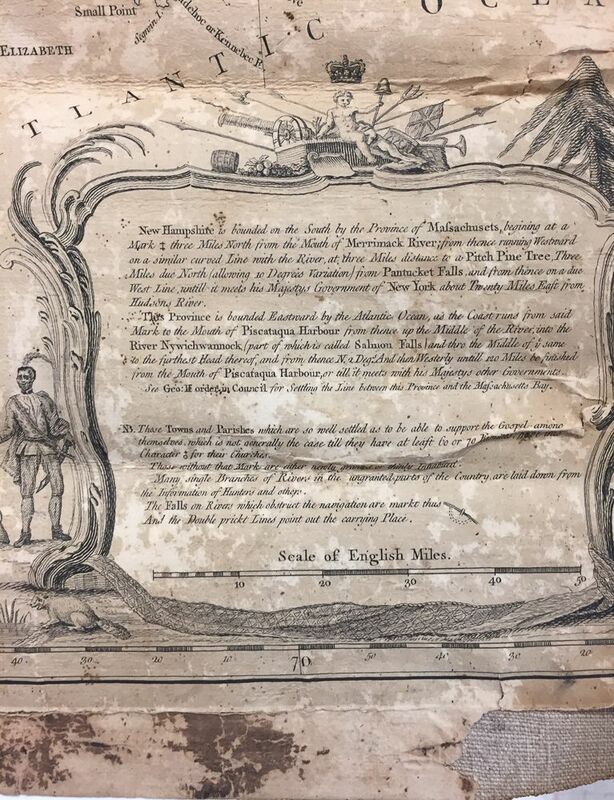 Blanchard, Joseph (1704-1758) and Samuel Langdon (1723-1797) An Accurate Map of His Majesty’s Province of New-Hampshire in New England. 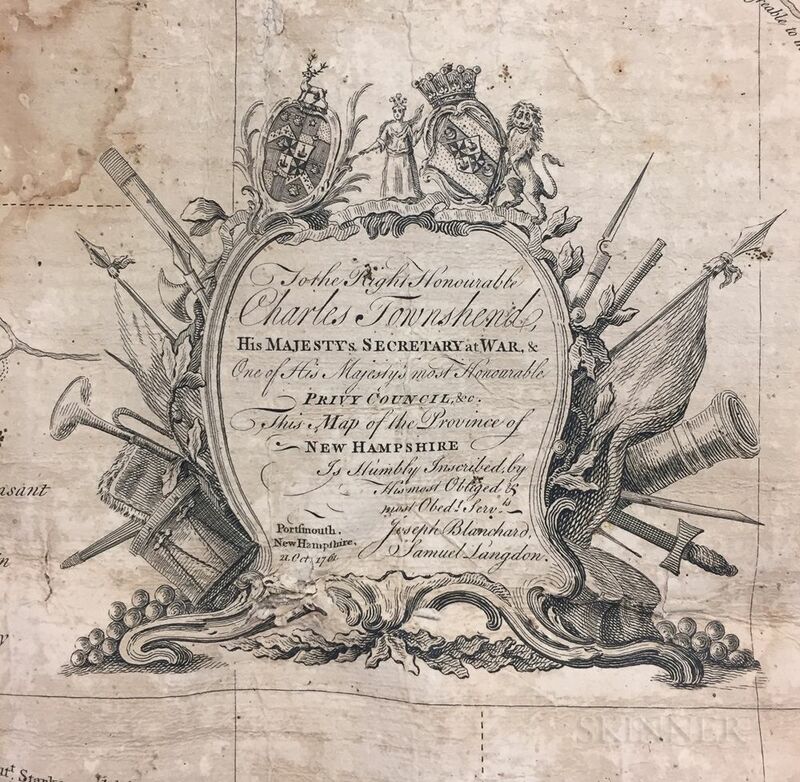 Blanchard, Joseph (1704-1758) and Samuel Langdon (1723-1797) An Accurate Map of His Majesty's Province of New-Hampshire in New England. London: Thomas Jefferys, 1761. 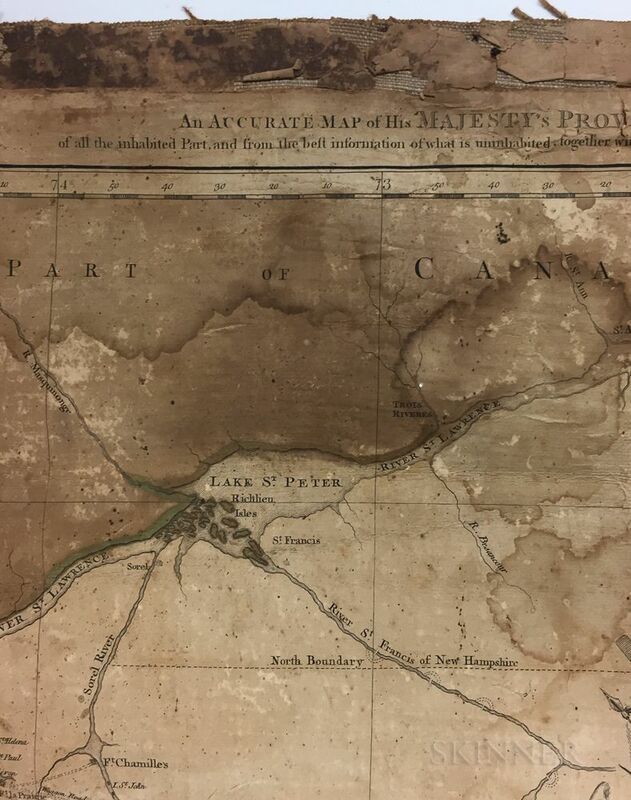 Over-sized engraved map on two sheets, joined, with outline color, mounted on linen, water stained, surface and edge loss, other discoloration and wear, in an old frame, 27 3/4 x 31 1/2 in. 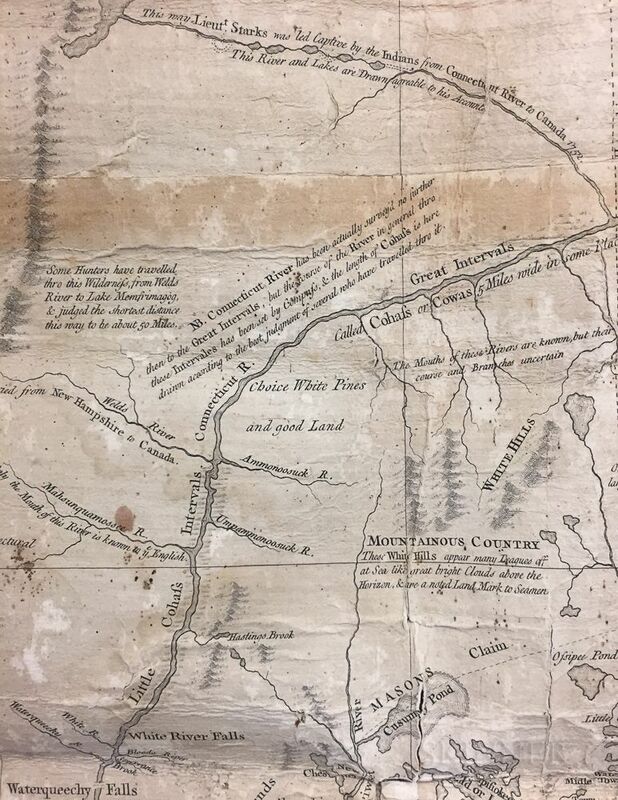 This rare map was produced to illustrate the theatre of war during the French and Indian War, and despite its title, depicts a very large area of the northeast, including present-day Vermont, parts of New York, Massachusetts, present-day Maine, and Canada.